The first thing we want to address is that the word “taste” is usually used to summarise the whole sensory experience. When you “taste” something, you’re not just considering the taste, you’re actually considering your experience of body, taste and flavour. An example of this in our daily lives is when someone says “this taste delicious” it is usually encompassing “I’m enjoying the body, taste, and flavour”. Another example of how the word taste is often used is when someone asks, “what does it taste like?” they’re not necessarily asking what the taste is, they’re more than likely asking what the flavour is, and if the flavour is similar to anything else. It would be better if we all used a different word than taste to describe what it’s like when we put something in our mouth. Instead of saying “do you like the taste?” you could consider saying “did you enjoy it?” or even “what did you like or dislike about it?”. There are many other alternative ways of phrasing it, and in doing so you will make it easier for people to be clear about their experiences of the coffee’s you serve them, and that will make it easier for you to understand how to serve them the coffees that they enjoy. If you want to accel as a barista you must have a clear understanding of what body, taste, and flavour is. And you must have excellent communication skills so when someone says “this tastes like berries” you understand that they are actually talking about the flavour, or when someone says “this has a bold taste” they actually might be talking about the body. Even more modern research suggests that spicy is actually a feeling (touch or tactile, and so would be categorised as body) rather than a taste. 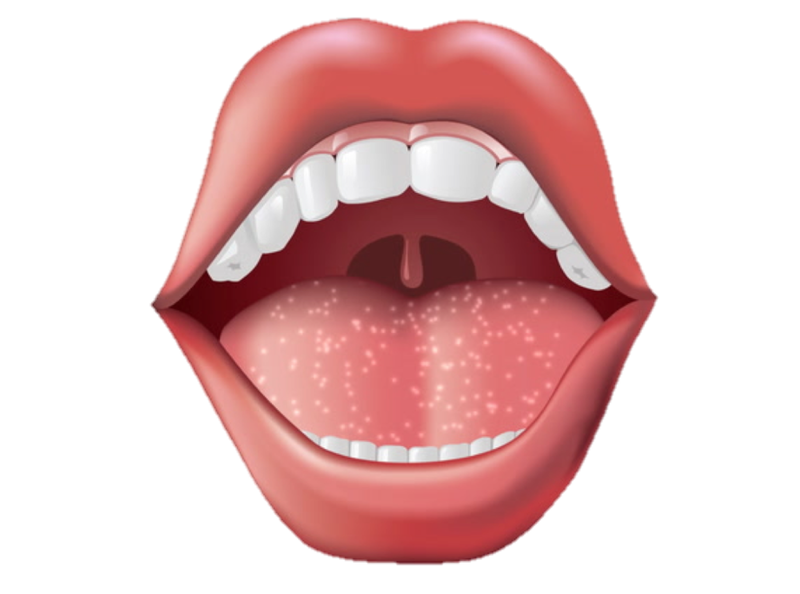 Also, modern research has debunked the tongue map because we have recognised that a sweet sensation can be detected anywhere on the mouth. Whilst this is true, the tongue map isn’t totally off because the sweet sensation is most detectable on the front of the tongue. It doesn’t really matter how many tastes there are, what matters to us in the real business of coffee is that we know how to manipulate the tastes so that someone enjoys it. All coffees have sour and bitter compounds and when we brew a coffee we need to manage the extraction of those compounds. Coffee used to only be known as a bitter beverage. Because of that the most common perception of coffee still to this day is that it’s meant to be bitter. But that’s not true. It’s not meant to be anything other than a beverage with caffeine in it that you enjoy. Cheap coffee blends (or instant coffee) made of low-quality greens that are dark roasted are definitely bitter. But there are other ways to enjoy coffee. When someone that is used to drinking bitter coffee first tries a high-quality green that is roasted well and brewed properly they usually notice the sourness (acidity). Often, they’ll proclaim, “that tastes sour” and conclude that it has gone off or past its used by date. In this case some education is needed. One of the main things we teach at entry level is that coffee doesn’t have to be bitter, that it can also be sour, and that the coffee will be more enjoyable overall if the bitterness and sourness are balanced. Not too bitter and neither too sour. Most people, consciously or subconsciously, want a coffee that’s sweet. Most people begin drinking coffee by adding sugar to it so clearly a sweet coffee is a desirable goal. Some people, rather sillily, tell you that they want a bitter coffee but then they add a bunch of sugar to it. Obviously they don’t want a bitter taste, they just have a habit of drinking bitter coffee and adding sugar. Coffee can definitely taste sweet on its own though, without adding any kind sweetener. But the sweetness of a coffee is subtle and delicate, if the coffee is overtly sour and or bitter it will be very difficult to detect the sweetness. Also, there are different types and intensities of sourness and bitterness. But it would be impossible to detect the difference between yuzu notes and grapefruit without first having a base to work from. Now line up each category (sweet, sour, salt) together but randomise the strengths. Taste each cup and line them up in from strongest to weakest. Next, randomise everything, then taste each cup and line them up in their category and strength (strongest to weakest). Finally mix 10g of 1 of the strengths from each category together in 1 cup (eg. F, M & Q). Make at least 5 different mixtures (ensure only 10g is added to each cup). Randomise them then taste them and try to define what’s in each cup. This last one is SUPER hard. Don’t feel ashamed if your way off when you first try, practice makes perfect. Enjoy!